WHAT'S NEW WITH THE CX-9? All-new in 2016, the CX-9 doesn’t change much for 2017. 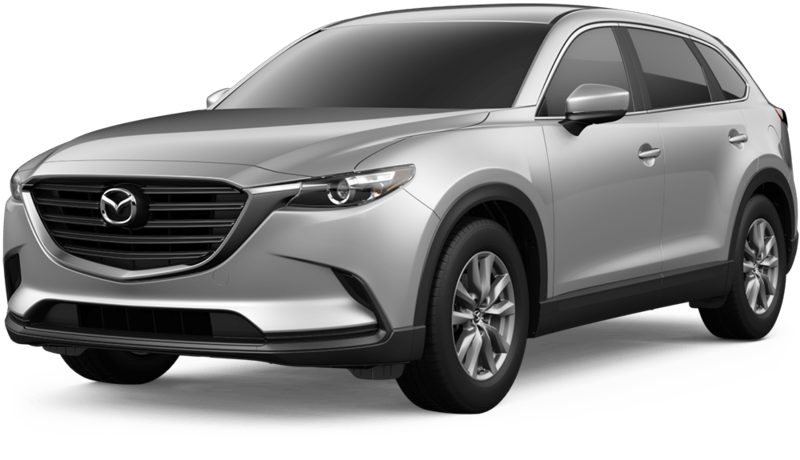 Mazda’s flagship 7-passenger SUV comes equipped with the 250 horsepower (on premium fuel, 227 horsepower on regular fuel) turbocharged 2.5-liter inline-4 mated to a six-speed automatic transmission with the option of front-wheel drive or all-wheel drive. With front-wheel drive, the CX-9 is capable of 22/28 MPG city/highway, or 20/26 MPG city/highway with all-wheel drive. The base Sport model includes 18-inch alloy wheels, a 7.0-inch touchscreen MazdaConnect infotainment system, and a rearview camera, plus LED headlights, cloth seats, and trailer stability assist. The mid-level Touring trim features a larger 8.0-inch touchscreen, leather seats with power controls for the front seats, blind spot warning with rear cross-traffic alert, automatic emergency braking, and a power liftgate. The upper trims offer a 12-speaker Bose premium audio system, a head-up display and navigation, as well as 20-inch wheels, soft Nappa leather surfaces, memory controls for the driver’s seat, and signature LED grille lighting. 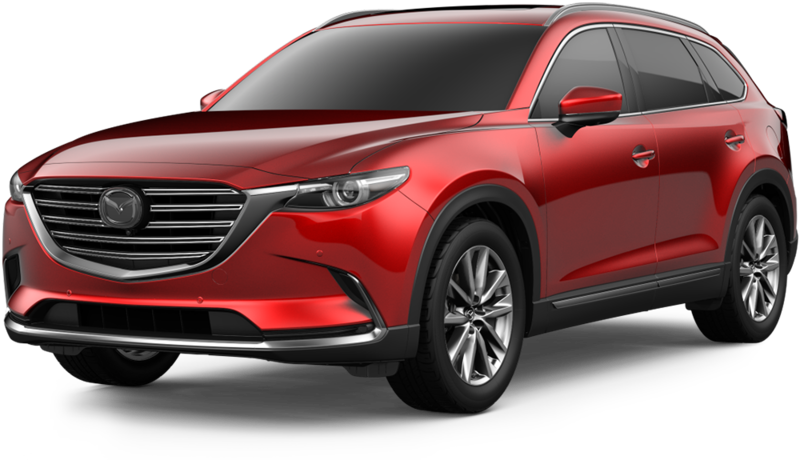 Safety features available on the higher trim levels of the CX-9 include adaptive cruise control, forward collision warning, automatic emergency braking, lane departure warning, lane keeping assist, blind spot warning, distance recognition, and adaptive lighting with high beam assist. For 2018, the Mazda CX-9 adds automatic emergency braking and G-Vectoring Control as standard features across all trims. G-Vectoring Control can dynamically reduce torque slightly when entering a corner to transfer weight to the front tires to increase responsiveness while turning. Additionally, Mazda has added heated second-row seats as standard on the higher Grand Touring and Signature trim levels while adding more safety technology features to the optional safety package on lower trims. 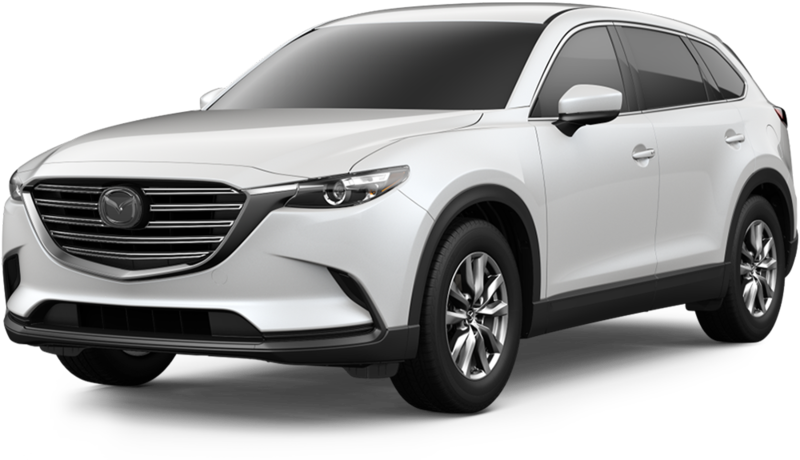 The top-tier Signature trim now distinguishes itself from the rest of the CX-9 range by adding standard all-wheel drive, Auburn Nappa leather seating and rosewood interior trim made by Fujigen, a famous Japanese guitar maker. Other details on Signature trim include LED lighting inside as well as the around the front grille.